Though my father hasn’t missed it in decades, I haven’t been able to attend the New Orleans Jazz and Heritage Festival since I started teaching over a decade ago — something about the way a last gasp of hunker-down-and-teach takes over public education as we approach state testing, and the long downhill slide toward the end of the school year. But every year as we hit the last weekend in April my mind begins to muse upon the great acts I saw down there the few years I made it: Los Lobos, the Indigo Girls, Taj Mahal, Blues Traveler, the Neville Brothers, a holy host of Marsalis siblings, and many, many more. What stands out strongest after all these years is the time I saw Randy Newman play a whole set of songs about rain in a downpour one year at Jazzfest. We were muddy football fields away from the stage, umbrella-less to boot, but what I remember best is the clarity of his set, just that wry warbly scratchy voice and a barroom piano style, over a substance chock full of extremely unreliable narrators and sarcasm, with a power that I had never really heard in his music before. The scene was terrible; the view was worse. But Newman’s music got burned into my brain. And since then, though I haven’t made it to another performance, I’ve never passed up a chance to listen to his songs, no matter who is singing them. 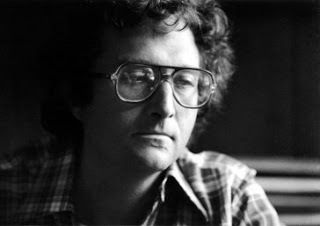 Randy Newman’s original performances aren’t folk, quite — though as a set of produced music that, at its best, focuses and features the simple melodies and heartfelt, story-troped acoustic output of a songwriter and his stringed instrument, much of his songs share the qualities of both traditional folkways and modern singer-songwriter folk. That so many from the folkworld and beyond have managed to take his work and make it beautiful in their own way acknowledges this ground, it is true. But that the songs speak — as all good folk should — to a nation and a people and a heart all at once is both a testament to the inherent beauty in the songs themselves, and the inherent and universal beauty in the human condition, even at its most terrible and sodden and rained-upon, of which they speak so effectively. Today, in honor of my tenth consecutive year missing Jazzfest, we bring you a predominantly southern-tinged set of Randy Newman coversongs. Though I could not resist a song or two from the lighter and less historically-relevant side of the Newman catalog, those younger folks who only know Newman from his recent work scoring Disney soundtracks may be pleasantly surprised to find that in his younger days, Newman was a gifted songwriter, known for his ability to expose the whole range of the human experience, from the poignant to the historical accurate to the absurd, rub it raw, and somehow manage to make it touching all the same. Sometimes, I guess, it takes a little rain to make you really understand. This three-fer from seriously underrated tribute album Sail Away: The Songs of Randy Newman features two sparse takes on Newman at his most sweetly sarcastic from bluegrass icon Tim O’Brien and acadican ‘grass band The Duhks…plus Marc Broussard with what I swear is the sexiest version of any Newman song ever recorded. Yes, three from one album is a lot, but every track is such a gem, I just couldn’t decide. My favorite of a set of four powerful versions of this gorgeous and still-poignant song from this marvelous recent post from Anyone’s Guess, who reframes and adds sonic context to a recent New York Times piece about Jazzfest and the song, which, in turn, speaks better and more thoroughly about both Louisiana 1927 and Louisiana 2008 than I ever could. A classic Bonnie Raitt take from her early bluesfolk years (and her Greatest Hits collection), most recently heard in a wonderful quirky North Carolina restaurant while drinking mojitos and eating shrimp and grits. If you ever hear this song in a bar, stay longer. A master take on one of Newman’s simplest and most underrated. Of all today’s covers, this version from J.J. Cale may be truest to the original, albeit more gentle than most. A quiet, sad take on a quiet, sad song; perfectly toned for a smoky wartime bar, though recorded in the subway. Peter Mulvey’s voice suits Newman’s perfectly. Made famous by Dusty Springfield, who Shelby Lynne channels all sultry-like on her recent CD Just A Little Lovin’, which we previously reviewed here. But so Newmanesque, under all that shimmery newjazz production and heartful delivery. Chris Smither’s typical rollin’ quickblues style turns this song on its ear a bit, but aptly reflects the cheatin’-on-the-sly theme of the original lyric. From his intimate and solo live recording Another Way To Find You, which crystalized Smithers’ return to the folkworld. I’ve been posting a lot of Mae Robertson recently, but I’ve been holding out on you: this is, by far, my favorite, the most folky and sparse from her most effectively produced album Smile. 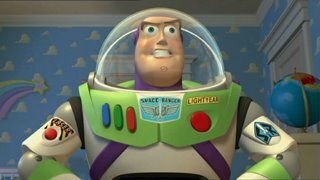 A sweetly harmonized, light-as-air, cowpoke-style take on one of Newman’s Disney finest. From Riders in the Sky, and previously posted in our Cowboy Coversongs feature, but originally via Fong Songs, which used to welcome new cover bloggers to the fold with different versions of this song, and welcomed me with this one. See also: Bonerama’s funk version of You’ve Got A Friend In Me, which I recently posted over at disneyblog Covering the Mouse. I first mentioned Funky Kidz a few weeks ago when I posted Walter “Wolfman” Washington’s delta blues take on This Land Is Your Land for our popular Covered in Kidfolk series. Since then, the album has been on heavy rotation in the family car. It’s not folk in the modern sense, but it is chock full of authentically regional American folk forms. And every track is a gem, sure to please whether you’ve got kids or just like a good second line cover set. So head on over to Covering the Mouse for Bonerama’s seriously funky brass band cover of Randy Newman’s Toy Story theme You’ve Got A Friend In Me. And then y’all come back now, hear? We’ll be back Sunday with a long-overdue look back at a few favorite posts from our first six months on the mp3blog map.